The model V0-1 1/2A consists of a one-piece base and stationary jaw, and a moveable jaw with quick acting, ratchet screw. The screw pulls the moveable jaw forward and down at approximately 45º. This eliminates lifting of the jaw when clamping small or thin work pieces. Two counter bored holes are provided in the stationary jaw for mounting a parallel or “V” shaped pad. The base also has four counter bored holes allowing the vise to be mounted. 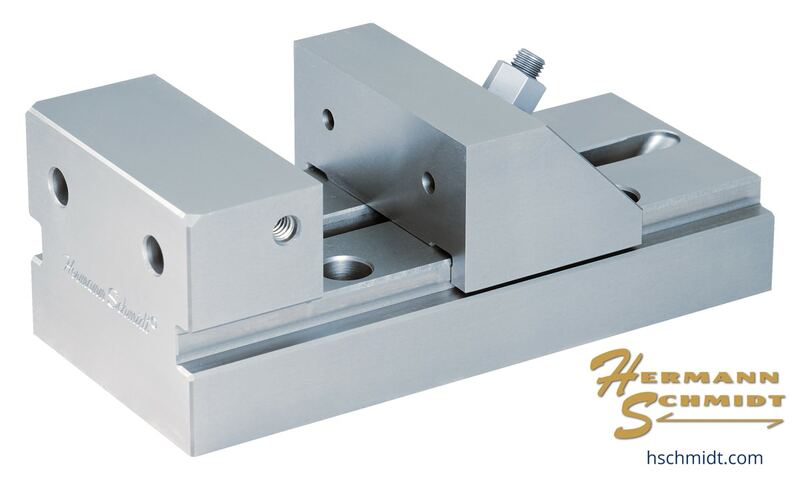 The vise is manufactured of A6, hardened and deep frozen for stability. The moveable jaw is individually fitted for accuracy.